Dr David Cashel has many years experience of placing dental implants and has some excellent advice when it comes to choosing dental implants and the practice involved. First of all it’s really important to make sure that you don’t judge everything based on price. 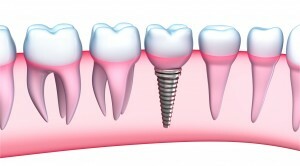 Not all dental implants are made equal, and the range of different qualities you can find across the spectrum is huge. Given that the best practice material to use in dental implants is titanium, David advises that you give any dental practice which does not use titanium implants a wide berth. There are hundreds of different types of dental implant on the market and you should be advised by a long-standing dental practitioner in whom you have the utmost faith. Some practices only quote price of the implant itself, and add on the the value of the attachment or abutment and Crown later. 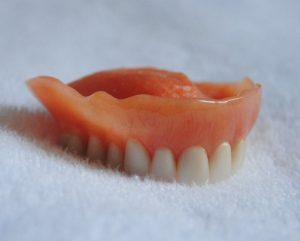 You need to make sure when comparing prices that you have been quoted for the entire implant system including the bridge or over denture. A good dentist will assess you to find out whether or not you actually required implants, and if you do he will make sure that you have sufficient jawbone for the implants to embed and become successful. This may involve a series of x-rays and MRI scans and you may require to have bone grafts in certain circumstances. Many people now travel abroad to have dental implant work done, but Dr Cashel advises strongly against this. The overwhelming reason for so-called dental implant tourism is the fact that foreign practices offer treatment at much lower prices. Whilst this can be a good thing, Dr Cashel has seen many patients who have had to have the entire dental implant process reversed because of extremely poor clinical expertise. Here in the UK a good dental implant dentist will offer a minimum of five years guarantee on all the work and you should make certain before signing anything that this is the case. Dental implants can provide over 30 years of trouble-free eating and smiling, but it is key to do your research before selecting a dentist to do this for you.